Madan Mitra made it clear that TMC isn't afraid and are not suffering from fear psychosis. Kolkata: Close on the heels of TMC leaders challenging and threatening central forces, another party leader made similar comments in the same light. 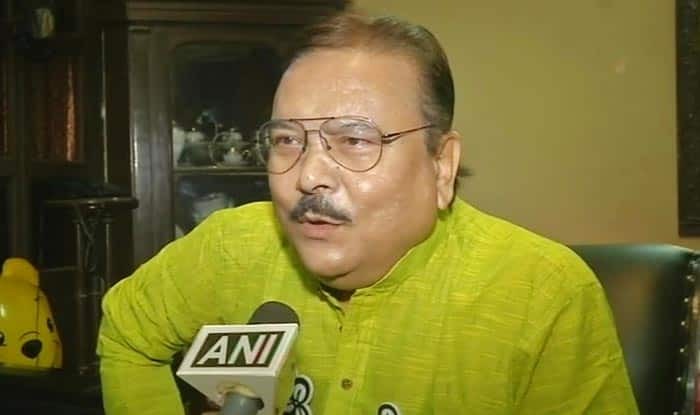 TMC leader Madan Mitra on Wednesday made it clear that they aren’t afraid and are not suffering from fear psychosis. He further added that the central forces may be with Bharatiya Janata Party (BJP) but the people of Bengal are with Mamata. Earlier in the day, another TMC MLA and Minister of State for MSME in West Bengal government, Ratna Ghosh Kar was captured on camera calling for violence against central forces. Kar, who is the MLA from Chakdaha constituency was also heard saying that “there is nothing called democracy in war”. The BJP had filed a complaint with the Election Commission (EC) against four TMC leaders, including two state cabinet ministers, for allegedly threatening and intimidating voters, last month. “We have filed a complaint against ministers Firhad Hakim, Rabindranath Ghosh, and senior TMC leaders Jitendra Tiwari and Anubrata Mondal. They have violated the model code of conduct by trying to threaten and intimidate voters,” BJP general secretary Jai Prakash Majumdar had said. “These four leaders should be kept out of election campaign and other poll-related procedures,” he had added.